Here are the preferred sizes for drag-and-drop and hotspot question background images, section icon, course logo, main/secondary backgrounds. Course logo: 200×50 px (but is should be auto scaled if you use other sizes). The secondary background can only be displayed in the repeat mode, so it’s better to use a solid color or a pattern, or just disable it. As a course developer you can use the navigation bar to navigate through the courses and the course structure. At the top left corner there is a button that opens the courses navigation. It provides the list of all available courses, their objectives and questions. From the navigation on the left you can open any available course, learning objective or question and edit it. A new navigation bar in the question editor makes it even easier to work on a course. It provides you with a complete overview of your course structure when you are editing a question or a content item. So now you don’t have to close the editor to move to another course item. To know more about the course navigation, watch this video tutorial. Easygenerator courses and learning paths can be played back on your computer as well as on mobile devices. The Simple course template allows you to create a course that is divided into several parts (sections). Each section can contain both content items and questions. 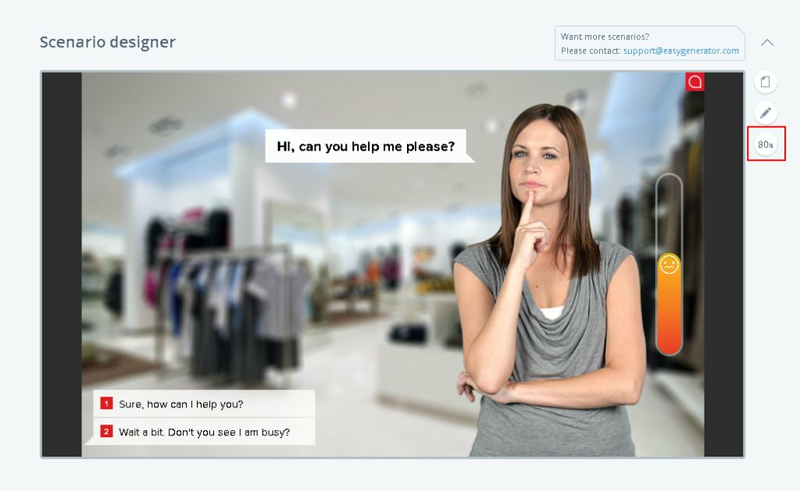 When a learner launches the course, at first the introduction page is shown, if the introduction content is added to the course. From the introduction page a learner can start the course. 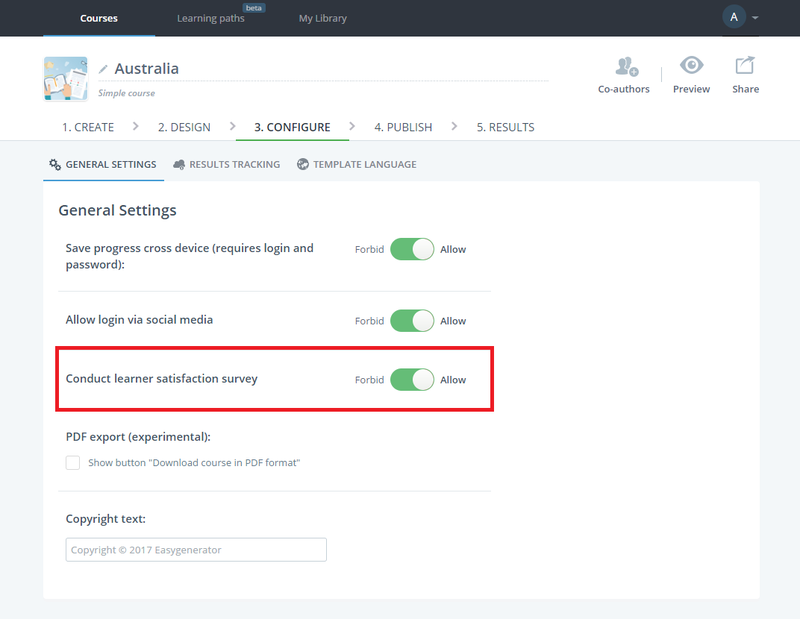 If the Simple course template is applied to the course, a learner can see the list of available sections. You can start the section to see the related content and questions. On the sections overview page at the top right corner you can view the progress summary that shows the overall progress of the course. Under each section you can see progress per learning objective. 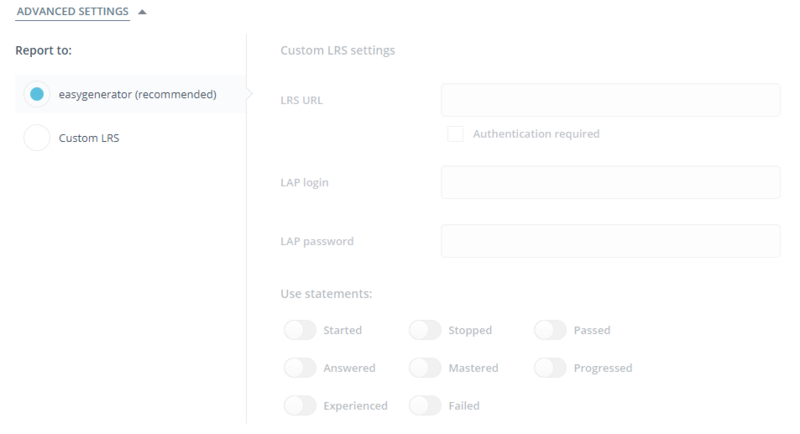 You can also see whether the mastery score, set on the Configure step of the course editor, is reached per section. On the sections progress lines the mastery score is indicated with a marker. 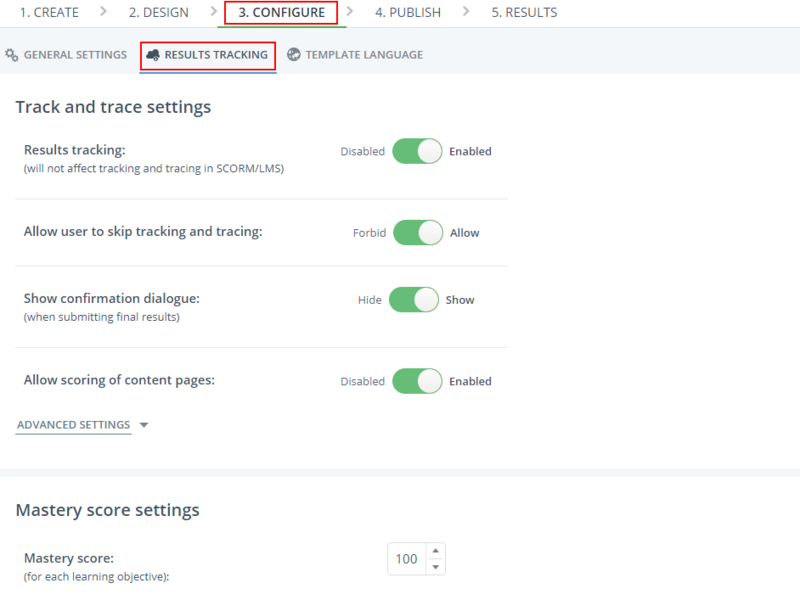 You can now turn on tracking and scoring of views for content pages in the simple course on the Configure step. 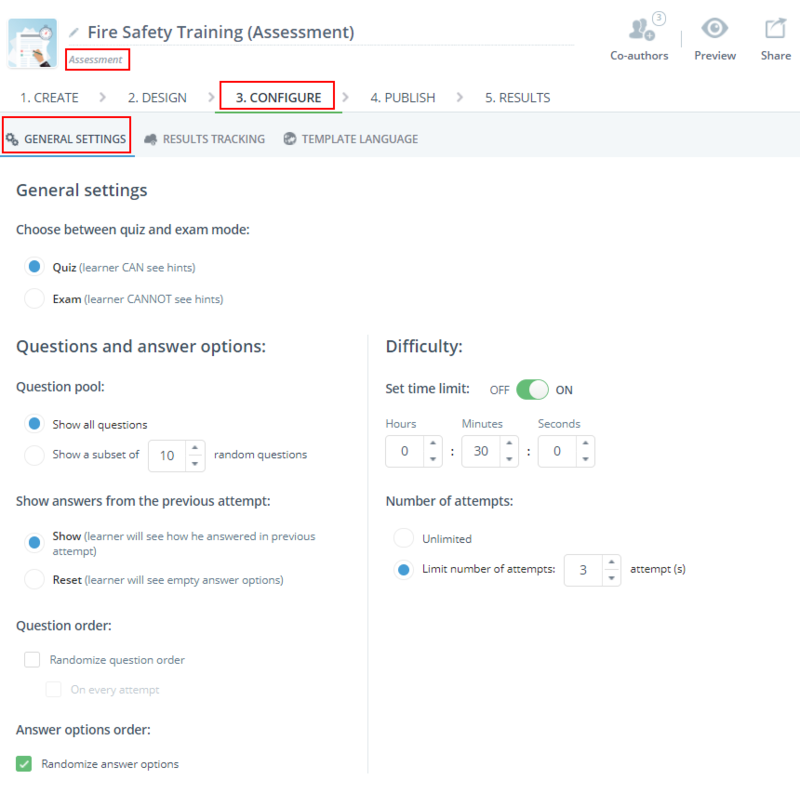 Each question and conten page are shown separately. You can view the content pages and answer the questions in any order. 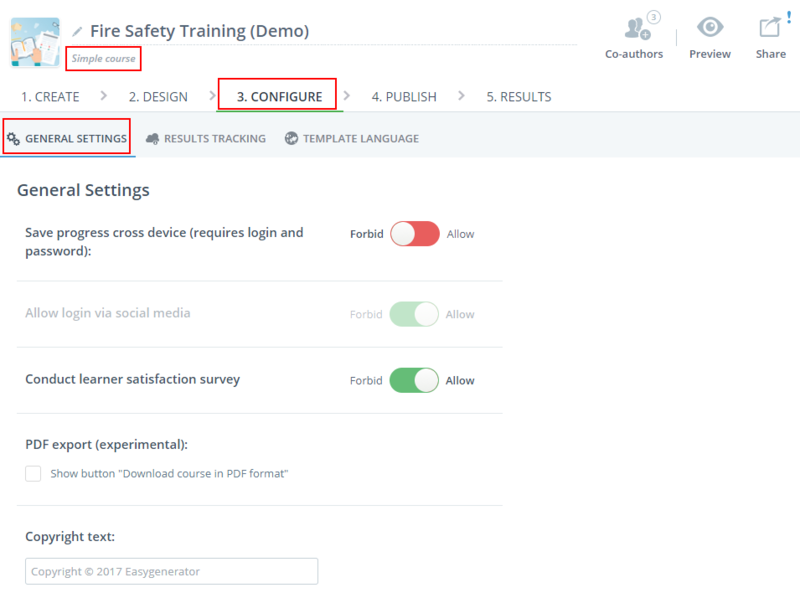 Use navigation buttons (previous and next) to navigate between the course pages. When a learner answers the question, they will be informed whether their reply is correct or incorrect. The last submitted answer will be saved. If the question is answered incorrectly, a learner can try it again. 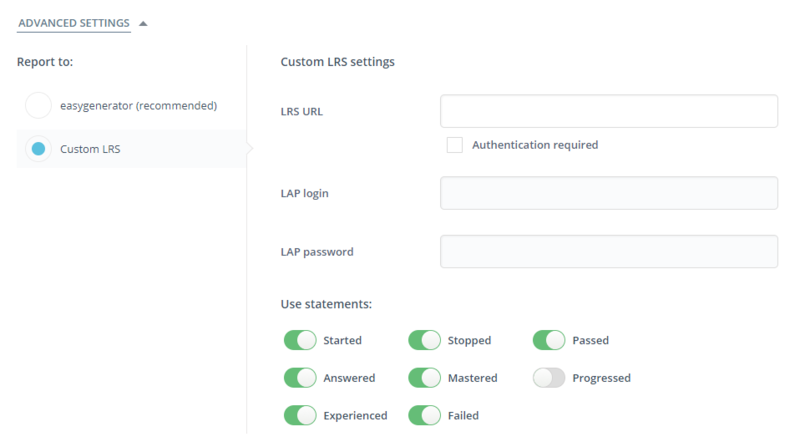 The Simple course template provides the possibility to customize the look and feel of your course. On the Design step of the course editor you can edit themes, branding and layout. You can preview each theme and choose the one you like best or create your own one. If you open the Branding tab, you can change your course logo, backgrounds and interface colors. You can also choose the way you want the sections to be displayed. Go to the Layout tab and choose between Tiles and List. Learners are given the opportunity to type an answer into a text field. This question type must be graded manually. This is a short video tutorial on how to create a text matching question. Multiple choice question presupposes that more than one answer may be correct. Multiple choice questions are less susceptible to guessing than true/false questions, making them a more reliable means of assessment. This is a short tutorial on how to create a multiple choice question. Fill in the blanks question consists of a phrase, sentence, or paragraph with a blank space indicating where the learners should provide the missing word or words. A learner has either to type in the correct word, or select the correct option from a drop down list. We are excited to introduce our newest feature – sharing results online! There is no need to download course results anymore and email them to course participants. 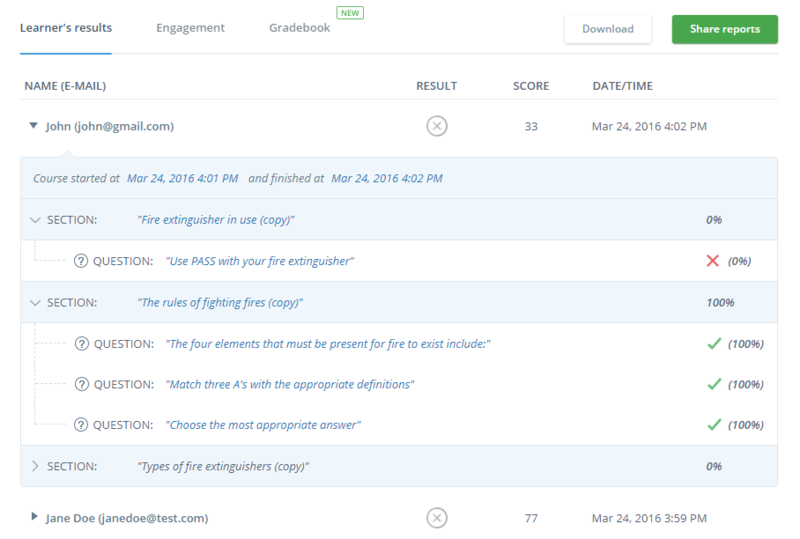 Now you can easily share progress reports with your colleagues or your learners by using a private link. 1.Go to the Results tab and click Share results button. 2.Switch on the option Share using a private link, copy this link and send it out to your users. 3. Following the link, your learners will be able to view their course progress online or download a csv file. How can I pay for Easygenerator? You can upgrade your account in our webshop using your credit card. When upgrading, you can choose between a monthly or annual license. When you choose the annual license, you’ll receive a free one-month bonus! For more information on how to upgrade your account, please click here. For the annual Academy license, you have the option of receiving an invoice. For more information on this option, please contact us here. NOTE: If you want to automatically add users to the organization from a specific domain, please contact [email protected]easygenerator.com. You will have access to the Academy plan for 14 days. During these 14 days, you will enjoy full functionality and get some handy tips that will help you explore Easygenerator in-depth. However, your trial plan will only be limited for video and audio upload. If you need media upload during your trial please contact [email protected].